There are a multitude of ways to interpret this months Creative Mornings theme. The word “Crossover” conjures positive and negative connotations for me. In it’s broadest interpretation, crossover literally means to cross over a boundary, either physical or conceptual, usually moving from one place to another. The idea of traversing boundaries and borders is great, it suggests progress or expansion. However, there are less flattering interpretations that come to mind when I think about hip-hop, especially in the late 80’s to mid 90s. Crossover was often used as a pejorative accusation leveled against rappers that sold out, or “crossed-over” from hip-hop to pop music. I’ve included a few tracks in this months playlist along these lines. It is also a term in the music industry to describe a song, album, or artist that expands into mainstream acceptance, usually in reference to a more niche artist that has changed their musical style to appeal to a wider audience. You might consider Metallica’s “Black Album” in this category. Similarly, we see trends in visual art and design that have roots in more underground or subversive forms and end up being appropriated by mainstream culture. Graffiti has gone through this type of transformation within our culture. Once viewed as vandalism, graffiti, now designated “street art,” has been appropriated and elevated to the status of fine art in our popular culture. For better or for worse, it has crossed over into mainstream acceptance. To get a great sense of what some early perceptions were of the culture, I suggest watching “Style Wars.” Style Wars completely blew my mind when I first saw it on PBS. Stills from 1983 documentary Style Wars. It’s fascinating how foreign the culture seemed at the time, it was like a peek into a distant world. Compare that to “Exit Through the Gift Shop” with it’s modern framing of street art and the marketing of modern art. “Street art” is so embedded into our world through product design and marketing in modern culture, it’s no longer subversive. It’s just a part of the visual tapestry of our popular culture. Even politicians are using “street art” inspired ephemera in their campaigns these days. 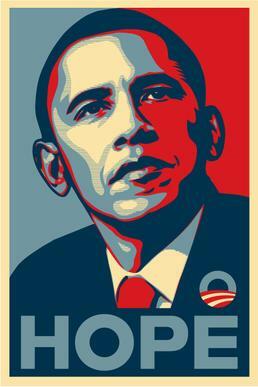 Barack Obama Hope poster designed by artist Shepard Fairey. At creative agencies, we don’t always have the luxury of choosing our projects and we are often asked to communicate to very broad audiences using our visual arsenal of techniques and styles. Sometimes this means tempering our individuality in favor of creating something for mass consumption. Bummer. I included Blondie’s “Rapture” because it was such a unique song at the time. It traversed stylistic genres from R&B to rock, to disco, even rap. For many, I’m sure it was the first time they heard rap, and it has to be the first time mainstream culture heard the names Grand Master Flash and Fab Five Freddie. I hope you enjoy the playlist, if you like, it tweet it out. I’m sure I missed some great songs; If you have suggestions post them below in the comments section.